This installment of Showdown! seemed inevitable. I didn’t originally want to compare these two great films but have been asked to do so and it seemed like it makes sense after all. Both are fantastic modern fairy tales but here I will break them down to see which reigns supreme. Story: Both Tangled and Frozen take classic fairy tales and adapt them into kid-friendly films. Tangled is based on the famous Grimm’s tale “Rapunzel” about a young woman with extraordinarily long hair who is kept in a tower by a wicked witch and later rescued by a handsome prince. In Tangled, Rapunzel meets her not-so-princely mate Flynn Rider and together they escape her evil mother’s tower to have adventures and fall in love. Disney took a beloved classic and added some feminism and fun to make a wonderful film. Frozen is based on Hans Christian Anderson’s “The Snow Queen”. The original story is about a young girl who goes on an epic adventure to rescue her friend from an evil snow queen after he is hurt by a shard of magical glass. Frozen ends up being very different from the original story. In fact, the only similarities are its Nordic origins and the presence of a powerful women who can manipulate ice and snow. Disney adapted this into a tale about two royal sisters; Elsa who is rejected by her people because of her ice powers and Anna who goes on an adventure to save her sister and restore the kingdom. Together, their love is powerful enough to leave us with a happy ending. When looking at both the original tales and the classic fairytale flow of the story, the point here goes to Tangled. “Rapunzel” is a more classic and fun story than “The Snow Queen” and the film follows a very comforting and familiar timeline. Frozen breaks the mold, which some people love and others hate, but Tangled‘s flow works for everyone. Originality: Both of these films are based on beloved classic fairy tales. Tangled is a classic princess tale but with Disney’s modern twist; a naive yet lovable princess escapes from an evil witch and lives happily ever after. While its princess-centric fairy tale is a joy to watch, it can’t compete in this category with the original adaptation that is Frozen. 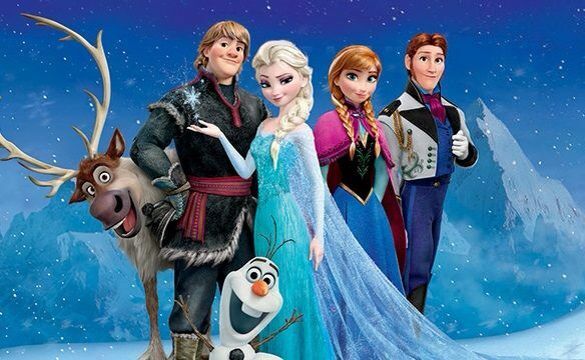 Frozen has princesses, princes, heroes, villains, and sidekicks like most other Disney films. However, it also has a focus on family, friendship, and true love between sisters and not a couple. It also shows us characters with much deeper and relatable flaws. Frozen gives us not only a plot that is new and unpredictable, but characters that are as well. All in all, Tangled is a fantastic film but Frozen is must more creative and mold-breaking. Characters: Let’s break this down shall we? First off we have our heroines. Rapunzel is naive, sweet and quirky. She’s a young girl with a big heart who doesn’t know much about the world but wants to experience it. Anna and Elsa from Frozen are the two princesses of Arendale. Elsa is the soon-to-be queen; poised and responsible until her ice powers become out of control and she is rejected by her people. Elsa’s acceptance of her uniqueness and eventual being comfortable with her powers makes her a flawed and fabulous character that anyone watching the movie can relate to. On top of that, Frozen gives us Anna, the spunky, warm-hearted and courageous younger sister of Elsa who heroically braves dangers to rescue her sister and her kingdom. Anna is selfless and strong but also naive and youthful, another well-rounded character from Disney. Rapunzel is certainly a great Disney princess but Anna and Elsa are different from the previous princesses and balance each other out perfectly. Now for the villains. In Tangled, Rapunzel is stolen as a baby by Mother Gothel, a witch of sorts, who locks her in a tower and uses Rapunzel’s magical hair to stay young. Rapunzel, in a sort of Stockholm Syndrome, loves her mean and spiteful adoptive mother and struggles with escaping until Mother Gothel eventually reveals herself for the truly horrible person she is. Mother Gothel is absolutely hilarious and steals every scene she’s in. Frozen plays the twist card, allowing us to think the main villain is actually the good guy until three-quarters of the way into the film. 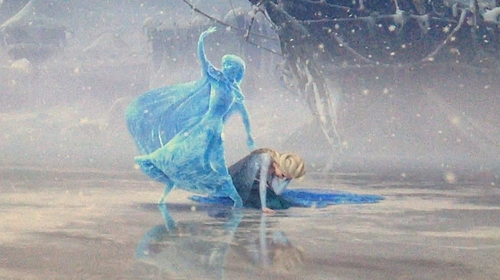 Then Elsa, who could have been the villain, is saved and becomes a hero. And then there’s that random old guy who’s technically a villain too but no one remembers him. While Hans and his penchant for killing young women is definitely scary, Mother Gothel is a much more defined, hilarious, and memorable villain. Hero time. 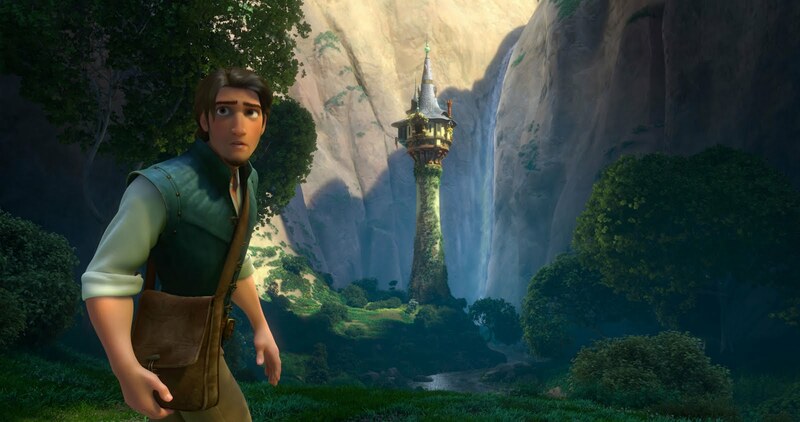 In Tangled we have Flynn Rider, the dashing thief who breaks into Rapunzel’s tower to hide after a crime. They form an unlikely partnership and escape the tower. In the beginning he sees her as a stupid young girl he can manipulate but eventually falls in love with her and helps to save the day. Flynn is funny, charming, and completely memorable. In Frozen, we think Hans is our charming prince for awhile until we realize he’s actually a super jerk. It turns out that the real hero is Kristoff, the rough and tumble mountain man who meets up with Anna in her quest to save her sister and reverse eternal winter. He is an everyday kind of guy, one who cares about who a person is on the inside and not how much power or money they have. Kristoff is definitely a fantastic character but Flynn Rider is an incredibly iconic part of Tangled and Disney in general. Lastly, we come to side characters. In Tangled we have the adorable chameleon Pascal, sassy horse Maximus, and a band of lovable ruffians. Frozen gives us loyal reindeer Sven and the show-stealing snowman Olaf who provides some of the most quotable dialogue of the film. Both films give us some great supporting characters but it’s hard to beat Olaf’s well-deserved popularity. After breaking this down we get a score of 2-2 which means this category is a draw. Music: Disney’s soundtracks are not to be messed with. Each animated film presents us with a fantastic set of songs to go with it. In Tangled we have the sweet “When Will My Life Begin”, the fun “I’ve Got a Dream” and the funny “Mother Knows Best”, as well as the Oscar-nominated “I See the Light”. These are all great songs and I can’t complain about any of them. With Frozen, however, we have a soundtrack that people of every age have memorized, idolized, and occasionally burst into song because of. “Love is an Open Door” is romantic, “Do You Want to Build a Snowman” is haunting, and “In Summer” is hilarious. And of course there’s the Oscar-winning “Let It Go”, perhaps one of the most popular Disney songs of all time. Tangled soundtrack is no doubt fantastic but Frozen‘s soundtrack is more than just great music; it’s an epidemic. Social Relevance: Both Tangled and Frozen belong to Disney’s “Revival” era. Since 2009 and The Princess and the Frog, Disney has been releasing powerful films that are wonderful as movies but also give the audience beautiful animation, fun music, and fantastic role-model characters. 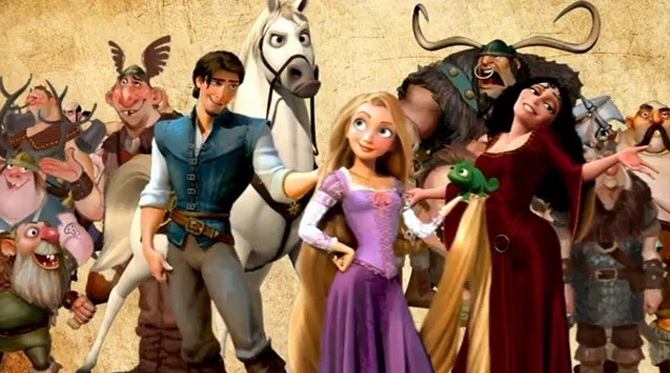 Tangled was released in 2010 and garnered much attention and is said to have been the inspiration for the subsequent Disney animated films’ style. Tangled was a huge hit; it has a Rotten Tomatoes score of 89% and is the 21st highest-grossing animated feature ever released.With big-name voices, beautiful animation, and fun characters, Tangled made quite a splash when it was released. Frozen was released in 2013 and instantly became a huge hit. It also has an 89% on Rotten Tomatoes and is the highest-grossing animated film of all time. Frozen is insanely popular and that might even be an understatement. Everyone knows the lyrics to “Let it Go”. Stores are constantly restocking Frozen merchandise, even a year later. There were countless Elsas parading the street this Halloween and if you walk into any elementary school you will see Frozen backpacks, gloves, folders, hats, and anything else you can imagine littering the cubbies. Frozen’s beautiful animation and talented voice cast attracted audiences and its complex characters, classic songs, and fun jokes kept them coming back. These are two of the best animated films of all time, with gorgeous animation, fun characters and catchy tunes. But there can only be one winner. All in all, while both films are entertaining, enjoyable, and amazing, Frozen is a groundbreaking phenomenon that has taken over the world. I think Frozen is better hands down, by the fact that it’s more memorable than Tangled. Great post! I totally agree. Frozen for the win! Tangled is my favorite Disney movie since The Lion King. It is a near perfect movie with a lot of great characters and a lot of fun. Then Disney outdid themselves with Frozen. It had with a great villain twist, an unbeatable song and some great sisterly love. However the more I think about it there is a lot of drag in the movie (The rock trolls are almost unwatchable for me on multiple viewings). The peaks are better in Frozen but it has a few valleys that Tangled never had. My vote would be for Tangled but it is very close. ^ This. Tangled didn’t have any out-of-the-park songs like Frozen did, but it’s altogether more watchable. Especially on repeat viewings. Basically no boring parts, and I personally find that Flynn and Rapunzel are more engaging as characters than Anna and Kristoff. 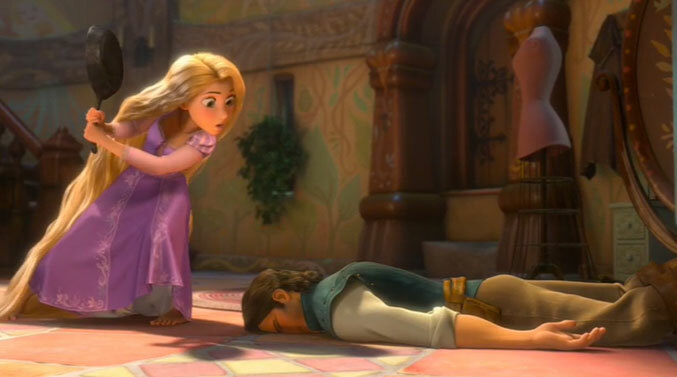 The climax of Tangled still wrenches my gut every time too. I think the main reason people remember Frozen’s songs over Tangled’s is because Tangled doesn’t really have an anthem song. That said, as much as I would agree that Let It Go and First Time in Forever are better than anything in Tangled, Fixer Upper and In Summer are the weakest two songs out of the two movies. Also as much as Frozen Heart isn’t bad, it tries to set a tone that feels like nothing in the rest of the movie, making it kind of pointless. The better variety of song styles in Tangled makes me think that they’ll age better too.